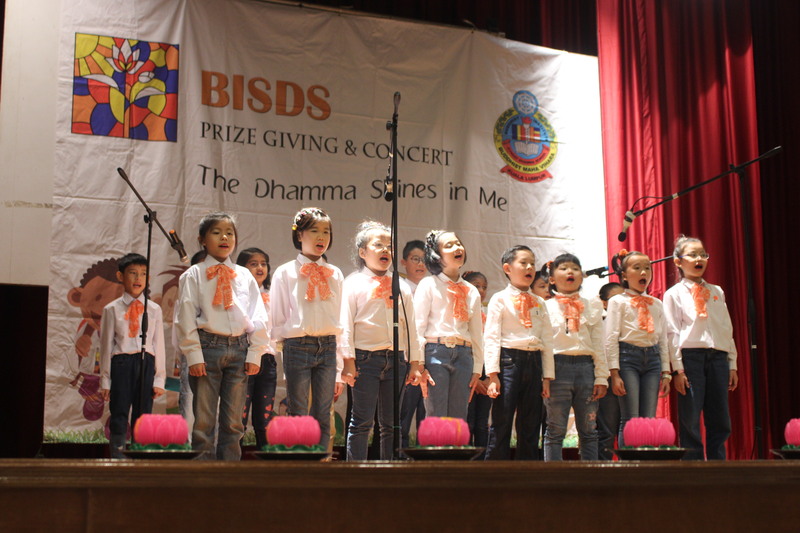 Parents, kids, grandparents, teachers, students… Everyone was set to attend this auspicious event BISDS held annually – Concert & Prize Giving. A day where everyone celebrates the achievements, performances and share the joy with one another. Achievements which is not limited to personal achievements but those achieved as a group too. Students and adults who have worked hard to ensure the success of the event, practiced for weeks perfecting their performance. Whether it may be a song, dance, or even a drama, everything was practiced to the last detail with nothing to be missed out on during the performance. Every single performer who went up on stage did wonderfully. They smiled, the audience smiled. Smiles were shared among everyone. However, the most important element of going up on stage performing is not the preparation put in to perfect the performance, but the recognition in the form of applause followed by the ending note of your performance. That is the most rewarding element one will ever experience after having set foot on the stage and do what one do best. Prizes such as Best Dhamma and Best Attendance were awarded on that day.